Famed jazz artist plays the Whisper Dome. 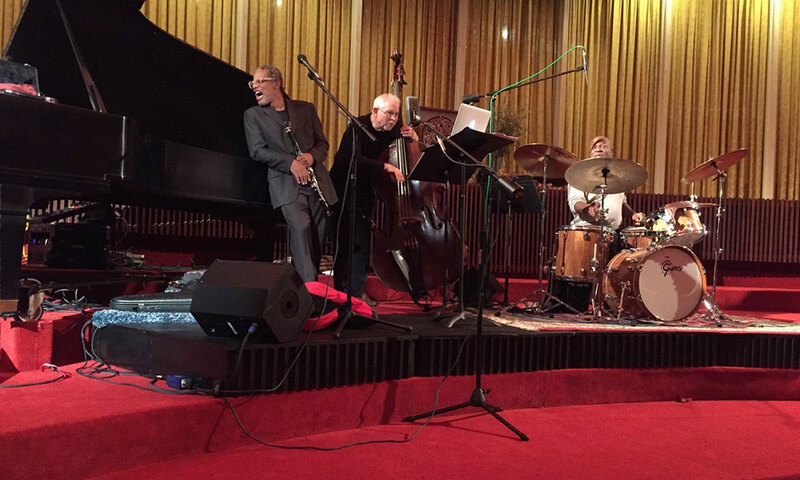 The Whisper Dome in Schenectady was the place to be on Nov. 3, as the 31th season of A Place for Jazz came to a joyful close with Don Byron, a composer, educator, and musician who is known for his adventurous and eclectic presentation. Before the concert, someone posed the question of which Byron would show up: “Ivey-Divey Byron? Klezmer Byron? Free Association Byron?” The answer was none of them. His concert was a solid, balanced evening of bangin,’ fun and music. Byron was mostly on clarinet, but also on tenor sax, sometimes both on the same tune. 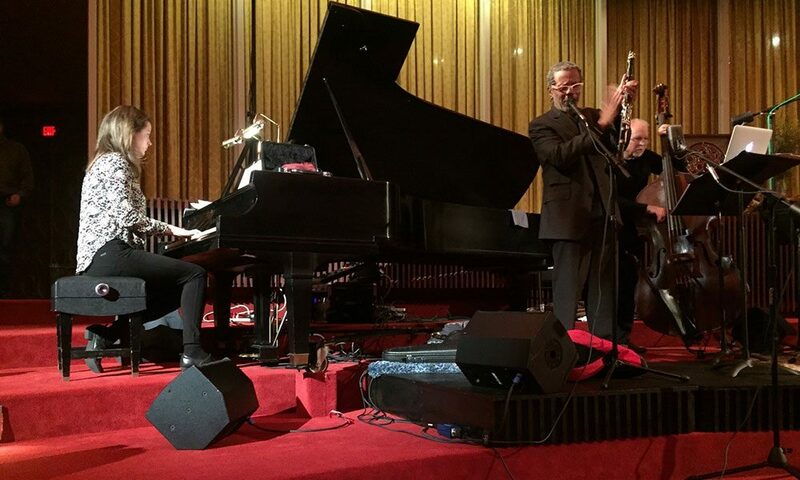 He was backed by a solid band — Kris Davis on piano, bassist Cameron Brown and Bruce Cox on drums — that met him comfortably wherever in the canon he wandered, which made for a relaxing but no less exciting experience. There was a bit of George Russell, Li’l Abner, Lester Young and Lorraine Hansberry brought into the mix and tales from history and jazz history woven in. Whether he was singing a cover of a tune made famous by Hank Williams, complete with a yodeling vocal or getting the audience clapping to Bert Kaempfert’s That Happy Feeling, which was the theme song for Sandy Becker’s TV show in New York City in the 1950s and 1960s (a childhood favorite of mine), it was Byron at his irrepressible best. Byron visited Robert Aronstein’s Jazz Band class at Oneida Middle School in Schenectady during the afternoon before heading to the Whisperdome at the Unitarian Universalist Society of Schenectady. At the refreshment break between the evening sets, the audience was entertained with their version of Mercy, Mercy, Mercy, Joe Zawinul’s 1966 hit for Cannonball Adderley. And another great night, after a great season of jazz. Professor Cecilia Aldarondo, whose films have been screened at the Tribeca Film Festival and the Met, landed the fellowship for her accomplishments in film.